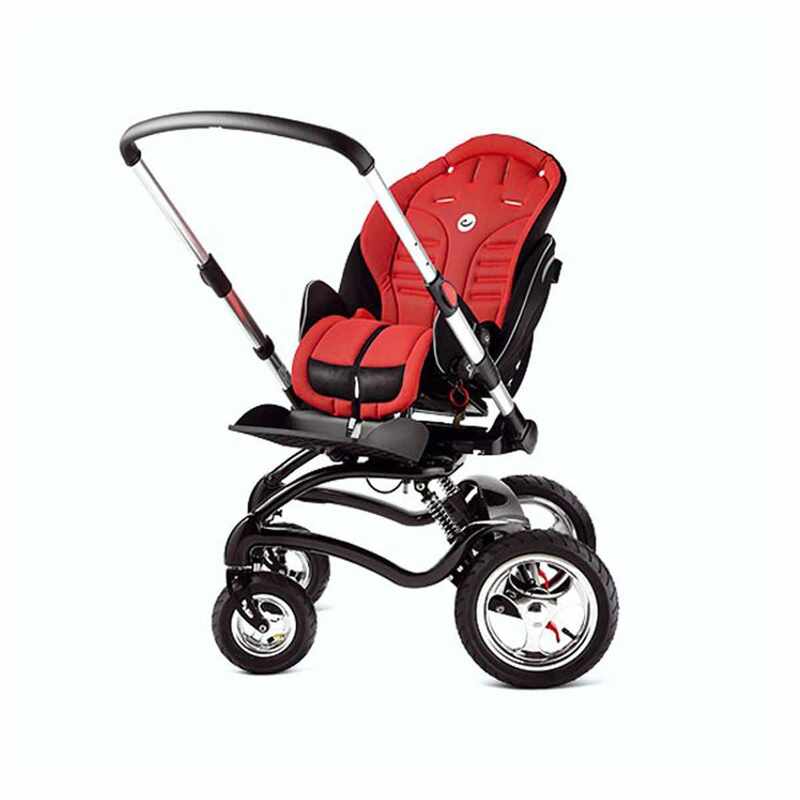 R82 Stingray tilt-in-space stroller has carbon frame and its trendsetting design encourages to go out. Adjustments, comfort and lightness of steering are keywords for this buggy. Stingray stroller makes it possible to change from forward to rearward facing with its 180° turnable seat with the child seated. The child is always comfortably seated, whilst the various angle adjustments make it easy to find exactly the position they need. 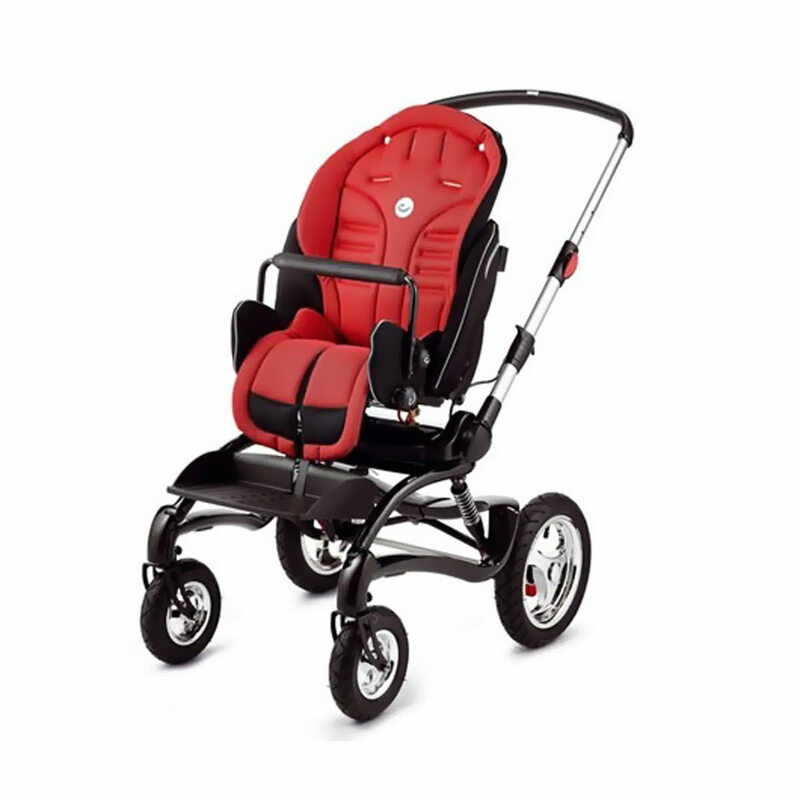 Stingray stroller support around the pelvis creates a stable base and ensures a good sitting balance. It helps the child maintain the trunk and the head in midline. Good postural control will help the child to feel secure and enable the child to learn new motor skills. 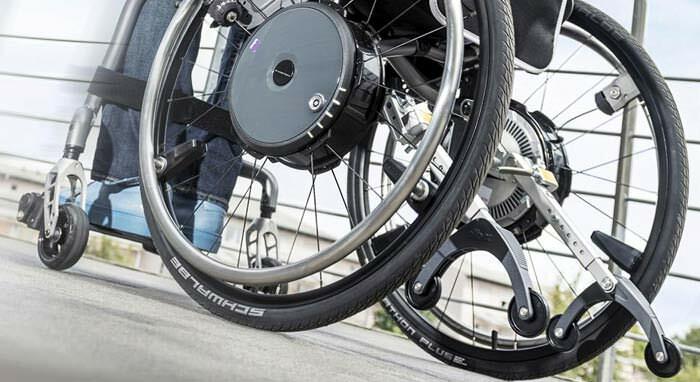 The Stingray consists of a one size frame and the seat unit comes in two sizes. You can grow with your Stingray and just change the seat unit. 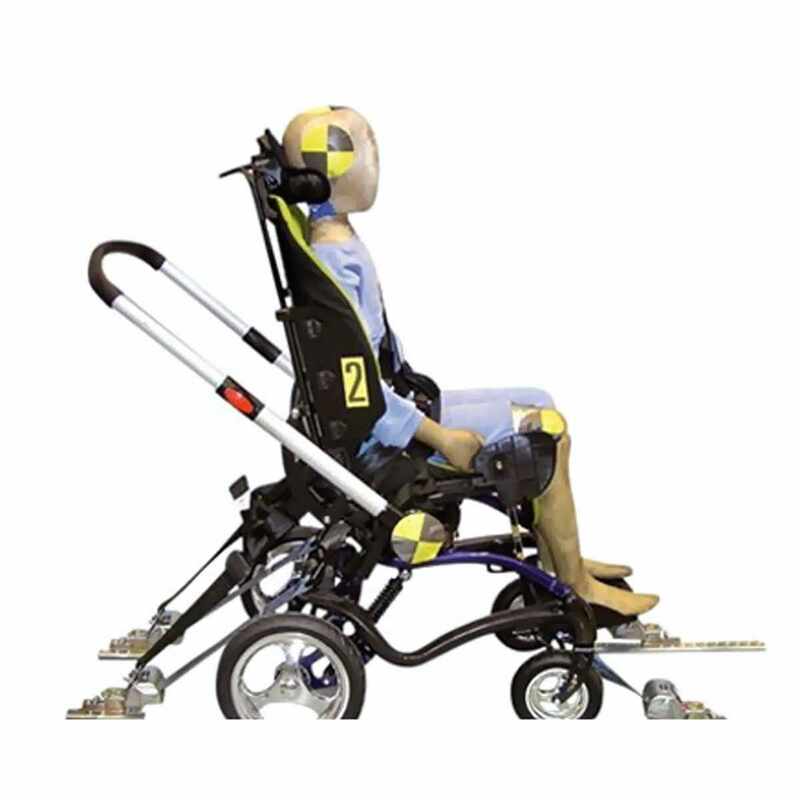 Footplate, seat and back supports provide the freedom of many seating positions. Tilt in space: Tilt in space maintains the angle in the hips and gives the child a chance to rest and relax. Children not having sufficient head control will benefit from a little backward tilt. Changing tilt in space will also relieve the pressure on the buttock and spine, so sitting for a longer period of time will be comfortable with the help of various seating positions. Back recline upto 170°: Back recline changes the angle in the hips. For some children with spasticity it will be preferable to keep a fixed angle over the hips to decrease the spastic element and only use the tilt in space, but for other children it is very relaxing to lay down flat. In this position the child can take a nap if needed. 180° turnable seat: Revolutionary function with a 180° turnable seat unit - even with the child seated. It is always important to be in contact with the child. Depending on the situation the child can either see the parent and communicate or follow the surroundings in the driving direction. 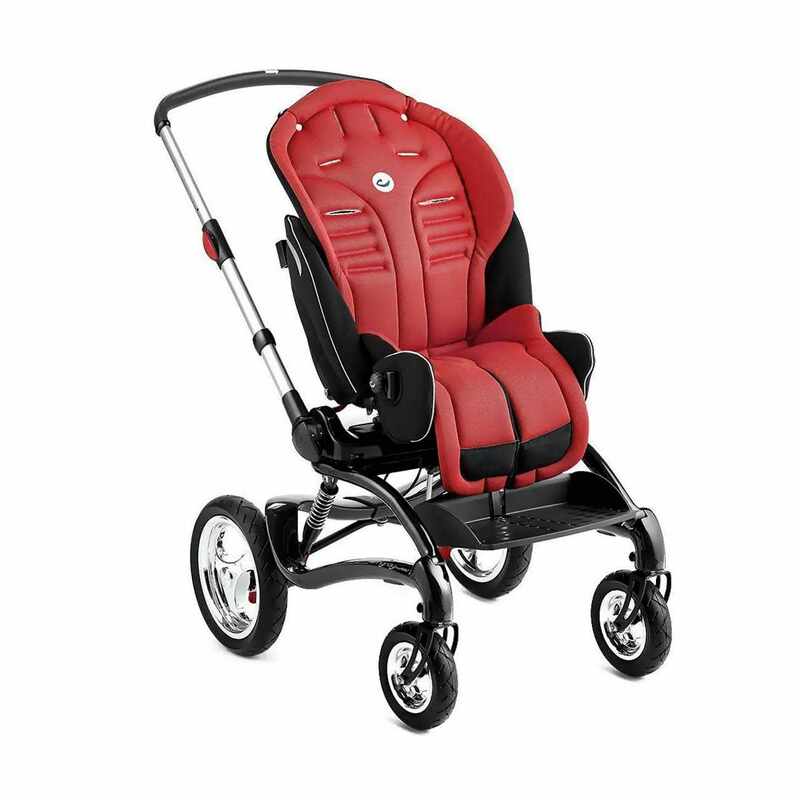 Stingray offers a comfortable position which is easy to achieve through 180° turn even with the child in the seat. Postural support and stability: Stingray seat unit comes with foot support - Postural support and stability a minimum support to affect the position of the pelvis and in that way the abdominal muscles. 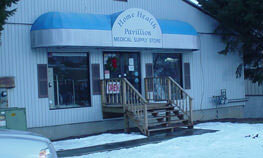 It is important to ensure an optimum postural support for the individual needs. 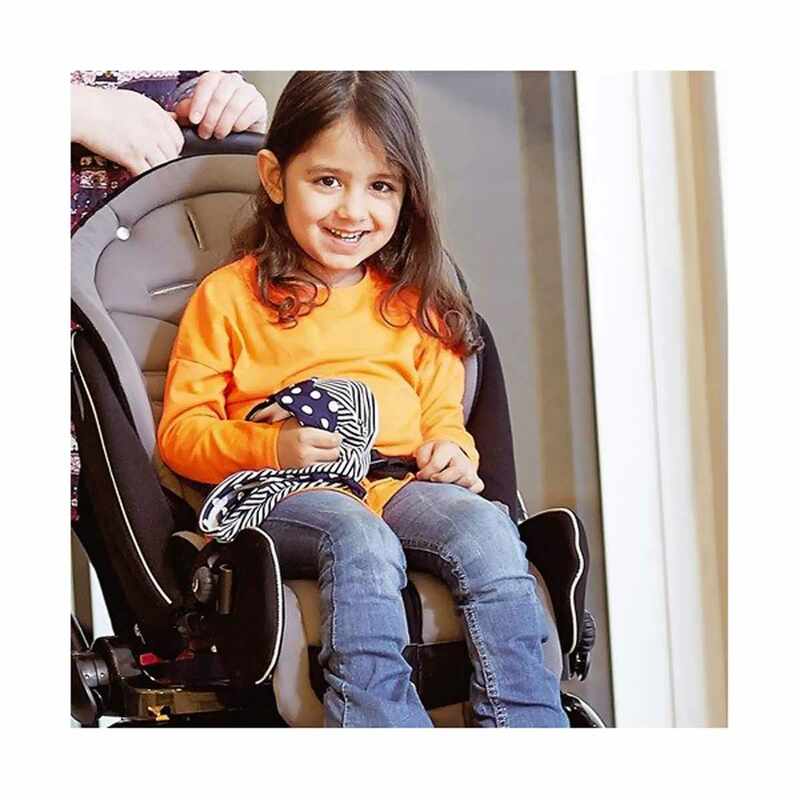 A little extra support by creating a stable base in the seating position gives the child the freedom to move. Easy & safe transportation: Stingray is folded quickly and fits into almost any car. Fold the seat and frame units separately or together and pack them into your car. Stingray is furthermore approved for transportation of 88 lbs. user weight in vehicles. NOTE: For Model No. 8702211 and 8702221 - Quick Release Wheels are not available with Hand Brakes. Seat width (A) - without hip supports 11¾" 13¾"
Seat width (A) - between hip supports 7" - 8½" - 10¼” 9" - 10½" - 12½"
Seat depth (B) 7" - 11¾" 9½" - 15½"
Back height at shoulders (C) 10½" - 16½” 15½" - 20¾"
Height, push brace (I) 39¼", 40½", 41¾" 39¼", 40½", 41¾"
Foot plate, width x depth 12½" x 8" 12½" x 8"
Weight, frame 29½ lbs. 29½ lbs. Weight, seat 12 lbs. 14½ lbs. Maximum load 88 lbs. 88 lbs. 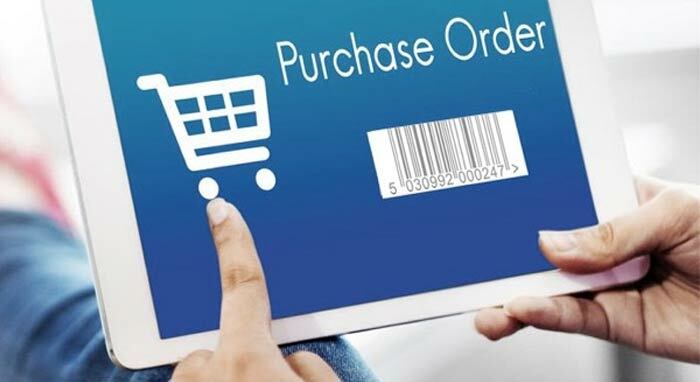 Due to its custom nature, please note that customized or modified orders are non-refundable and non-returnable. 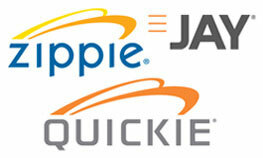 -- Please Select --Size 1, 10¼"-11¼" x 18" x 19½"Size 2, 12"-13½" x 25" x 19½"